It feels as if spring has not arrived yet. It still feels like mid-winter in England. The snow is falling and it is freezing cold. Let's go for a walk. What a great idea! How is your day going? Is it as strange as mine I wonder? Right now in England it is supposed to be spring. Normally by now, the yellow daffodils would be out in bloom and many birds should be busily building their nests, or in some cases, rearing their young. But no! None of that is happening here at the moment because here it is still mid-winter. Or at least that is what it looks and feels like. Of course this is not the first time that snow has fallen this late in the year. In the past we have had snow as late as April. However, the odd feeling this unseasonal weather pattern produces is hard to avoid. It's worth noting that not everyone will get this extreme weather. The harshness or severity of the snowfall depends on not just where you are located, but more significantly, how high up you are living. The higher the ground, the colder it gets and quite often that means more snow. This is a very unusual situation, but I suppose strange things happen all the time. Has anything unusual or strange ever happened to you? To be honest, I find the odd quirks of life quite interesting and they certainly draw my attention. So maybe I should not worry too much about the weird weather conditions. After all, as we say in English...''variety is the spice of life''. This is Misterduncan in England saying wherever you are and whatever the weather is like in your neck of the woods, stay happy and thank you for watching me, teaching you... and of course...a very cold and chilly... ta-ta for now. 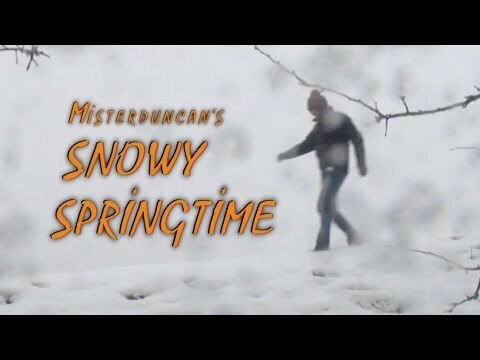 Видео Learning English - SNOWY SPRINGTIME поможет в самостоятельном изучении английского языка. you are great teacher . I admire you a lot? . Trying learn from your sentences and words .Hoping you long live mr Duncan! i wish? i can spend the winter in England once. @mrduncan contact me please kamran.bhatti222@gmail.com? just for? you! what for me?